Restaurateurs Dennis and Estella Quinones-Foy have been redefining modern American fine dining since 1996, the year they were awarded Best New Restaurant for their New York City venture EQ. Their eponymous Dennis Foy in Tribeca was one of Esquire’s 2007 Best New Restaurants, and in 2013, their d’floret in Lambertville found a place on New Jersey Monthly’s Best New list. 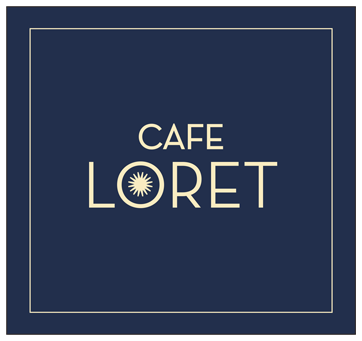 The committed restaurateurs’ new concept in Red Bank, NJ, Café Loret, is a modern American brasserie. Café Loret is an elegantly lit stage that exhibits Chef Foy’s dual passions: his fine art paintings, and of course his culinary mastery, where he presents exquisitely crafted dishes blending French, American, and Mediterranean influences. As one of the original founders of New American cuisine and the farm-to-table movement, local markets will heavily influence the seasonal, ever-changing menu. The restaurant showcases their passion for design, as well as food and art. Space is accented in the style of Richard Neutra, the noted mid-century architect, incorporating panoramic window treatment, clean sight lines, and modern interpretive lighting that finishes the sleek warm welcoming dining room that seats 42, and integrates a private room for 20, an outdoor patio for 40, and an adjoining patisserie.